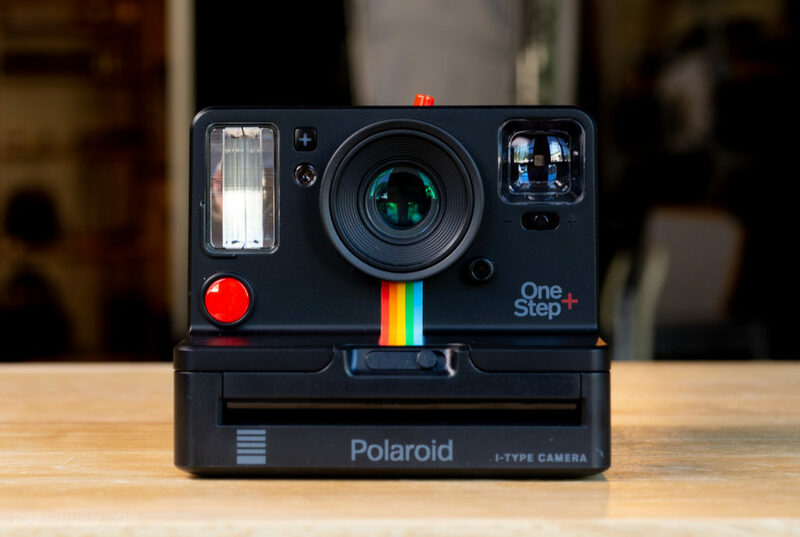 You can purchase the OneStep+ directly from Polaroid Originals. Using these links costs you nothing and help me keep this site online. Thanks! 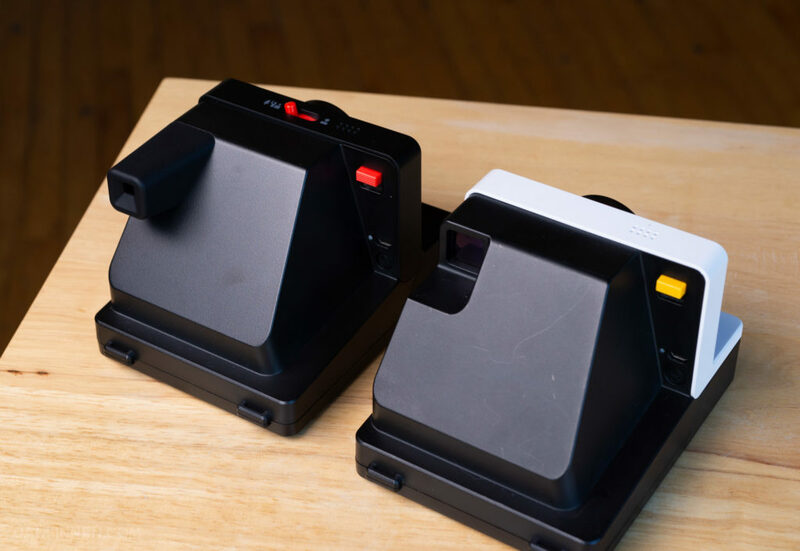 Last year, the Impossible Project, er, Polaroid Originals, released the OneStep 2. It was a simple, affordable instant film camera that was (and still is) one of the best cameras for those just dipping their toe into the wide world of instant film photography. However, it also marked a dramatic scaling back of ambition after the innovative Impossible Project I-1 camera. 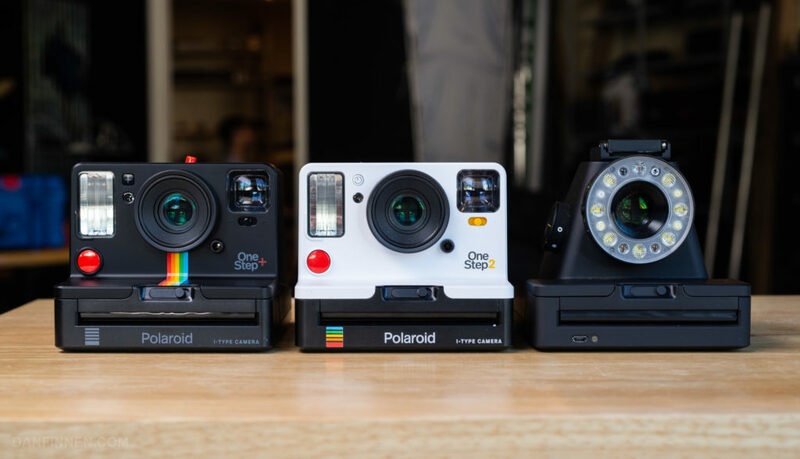 Just in time for the 2018 holiday season, Polaroid Originals has released a new camera that bridges the gap between the simple OneStep 2 and the advanced I-1. This camera is the OneStep+, a refinement of the OneStep 2 with a few surprises up its sleeve. The best part is that it isn’t terribly more expensive than the OneStep 2 it essentially replaces. 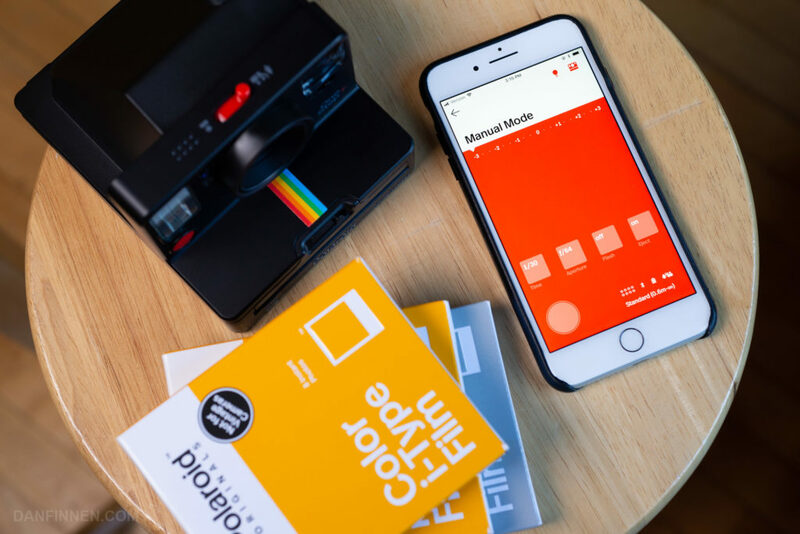 The OneStep+ is a 600-type Polaroid camera, which means it uses film with the traditional square frame we all know and love. Also, as an ‘I-Type’ camera, the camera is powered by a lithium battery in the camera itself rather than the film cartridge. So while the OneStep+ can use all Polaroid 600 type films, it can also use cheaper ‘I-Type’ film. 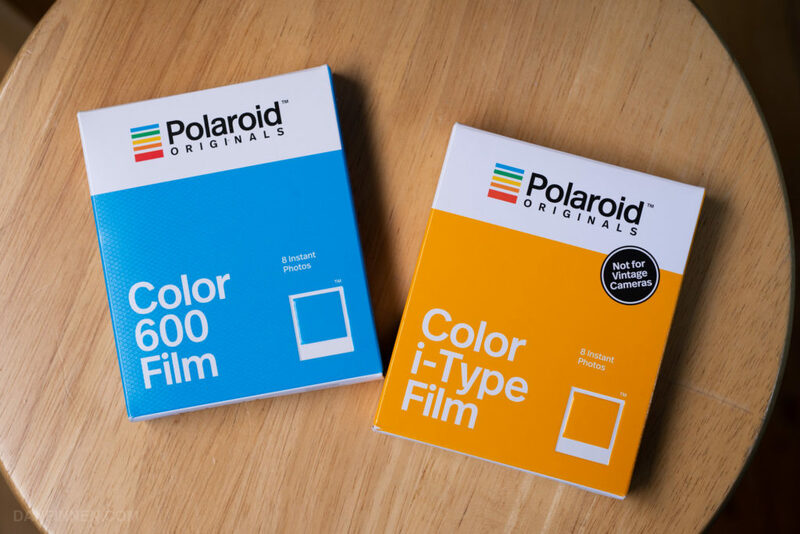 Polaroid Originals I-Type film is the same as 600, just without a battery, making it more affordable and environmentally friendly. And no, you cannot use Fuji Instax film with this camera. 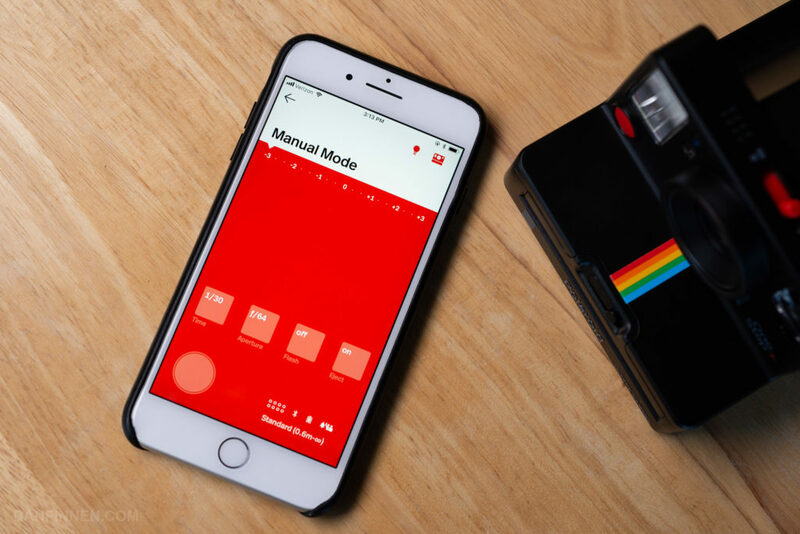 The headlining feature of the OneStep+ is control via bluetooth using the Polaroid Originals app. The I-1 also featured remote control via bluetooth, and it was the most exciting part of that camera. It really does come in handy in a few situations, which we’ll get into further below. The second feature is an added ‘closeup’ lens, not unlike the Polaroid OneStep CloseUp of yore. I mistakenly got my hopes up when I thought this was an actual lens that would change the focal length to ‘zoom in’ on a subject, but it’s not that. The closeup lens just helps make selfies sharper than what the fixed focus OneStep 2 could do. While not advertised, but one of the most exciting changes to yours truly is a proper viewfinder. At last! The I-1 and OneStep 2 were saddled with a viewfinder that looked cool but was very difficult to use with any accuracy. Visually, the OneStep+ is a handsome camera, but it only comes in black at the moment. There is also a rainbow stripe down the middle that directly evokes the famous vintage OneStep. So how does the OneStep+ compare to last year’s OneStep 2? Does it replace the I-1 as the ultimate selfie camera? Let’s jump in! The OneStep+ (on the left), showing off its new and improved viewfinder. The OneStep+ is a rangefinder-type plastic instant film camera, just like most of the cheaper Polaroid cameras of yore. You look through the viewfinder to compose your image, but since it’s next to the lens, and not through the lens (like in an SLR camera), it’s quite a bit less accurate. However, all box-type cameras are like this, and it isn’t until you get to the rare and ultra-expensive SLR 680s of the world that you can actually look through your lens to compose your image. However, the viewfinder that is there is finally on par with classic Polaroid cameras. The OneStep+ features with a new, improved ‘tube’ viewfinder that juts out from the camera to your eyeball. 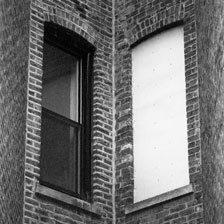 It’s not nearly as cool looking as the vague window of the OneStep 2, but it’s so, so, so much better to use. However, the viewfinder still isn’t super accurate, so don’t be surprised if you have a bit of trouble framing at first. After some experience with the camera you’ll eventually get to know it’s particular quirks. Shooting the camera is straightforward and logical, unlike the insane designs that Fuji saddles its poor Instax cameras with. Flip on the big on switch, point the camera, hit the big button, and you have a picture. There are other features there if you want them, but that’s all you have to worry about to make the camera work. It’s as simple and straightforward as it should be. The only wrinkle is now you have to manually switch between ‘closeup’ and ‘everything else’ when taking pictures. Since there is no indication in the viewfinder on which mode you’re in, it’s easy to forget to switch it over to the correct mode and end up with a soft image. The ‘closeup’ mode (designated by the single person icon) is for subjects very close to the camera. Think selfie distance. The other mode, which I call ‘everything else,’ is optimal 6ft to infinity. That’s the mode you’ll most likely be using more often. Focus switch and remaining shot indicator LEDs. I’ve just discussed the big focus lever at the top of the camera that switches between close and normal focus modes, which is one of the new controls introduced with this camera, but before we delve into the additional controls that can be accessed with a smartphone, let’s take a look at what else is on the body of the camera itself. The big on-off switch is the primary difference between a Polaroid Originals camera and a vintage Polaroid camera that was essentially always ‘on’ as long as there was film inside. Out of habit, I often try to use the camera while it’s still turned off. Turning it on, the LED dots on the top will indicate how many frames are left out of 8 (RIP vintage 10-shot cartridges). The shutter is the big red button on the front. It automatically fires the flash (which you need 99% of the time), but if for some reason you don’t want to use flash, you can hold down a discrete flash-off button on the opposite side of the camera while you press down on the shutter. This allows the camera to fire without flash, but be aware, unless you’re on a tripod or outside on a bright, sunny day, you’re going to get a blurry picture. You can also fire without flash using the bluetooth app, which we’ll get into further below. There is an exposure compensation button on the front of the camera, as well as a slider that lets you into the cartridge slot on the front of the camera. I’m happy to report, as in the I-1, the bluetooth feature is easy to use and the camera pairs without any fuss. The app is quick to download and easy to use. It leads you through the pairing process quickly, and you can have it up and running in a few short minutes. The remote shutter works as advertised, with a big button and info about the camera’s status. Having the closeup/landscape toggle status displayed is particularly helpful. There’s also a timer that allows you to set how long it should go for. This is a big improvement over the limited timers of vintage Polaroid cameras like the Impulse AF. Double exposure mode has an intuitive, bold interface that won’t let you forget where you’re at. Noise trigger and light painting are fun to have, but nothing that I really bother with. Manual mode is an extremely powerful feature that allows you to control exactly how the camera functions. This is a great feature for pros that I’m glad made its way over from the I-1. Most people can safely ignore it, but those with the light-meters and know-how will be able to do some great things with it. The app also has some scanner abilities, which is handy for sharing your pictures on instagram and elsewhere. It doesn’t replace a great flatbed scanner with an adapter, but it’s easy to use and will let more people share their photos. The bluetooth features work as advertised, and are often quite useful. Remote shutter and manual mode alone make the bluetooth connection completely worth it. There doesn’t seem to be anything missing here that was on the I-1. Strangely, the I-1 app remains separate from the new Polaroid Originals app. So we’ve been talking all about the camera’s features and handling, but how do the actual pictures look? Is this lens appreciably sharper than the fixed-focus OneStep 2, its main competitor? OneStep+ close focus shot. For some reason the I-type film I was using was unusually yellow, which I confirmed wasn’t the fault of the camera. For comparison, here is the same shot with the older OneStep 2. 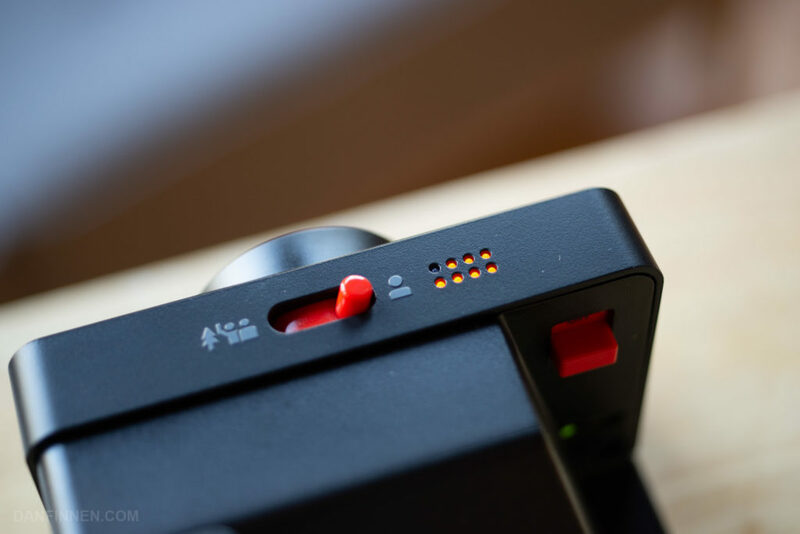 The good news is that the closeup lens does its job well, and selfie-distance shots are noticeably sharper than what was possible with the OneStep2’s fixed focus lens. Close distances are a struggle for even vintage Polaroid cameras, so the OneStep+ is a clear leader if you need to take a selfie at arm’s length. The only other camera that does as well at this distance is the I-1. Vintage box types with ‘closeup’ modes like the OneStep Closeup were a blurry mess and can’t compete with the OneStep+. Shots that are farther away appear equally sharp as the OneStep2, which was on par with other fixed focus vintage Polaroid cameras like the OneStep CloseUp. Check out the Ultimate Instant Film Shootout for detailed sharpness comparisons. Flash falloff is quick, which you can see in the left side of the frame. Flash exposure is decent on closeups. I noticed that the flash’s throw is shorter than a typical vintage Polaroid camera, so be careful shooting anything far away. Subjects 2 meters/6ft and beyond start to become underexposed in indoor/night environments. I’ve noticed this same tendency on Fuji Instax cameras. Exposure compensation will help with this, but it’s just one of those quirks you’ll have to learn to adapt to over time. The OneStep+ with its vintage inspiration. The built-in lithium battery is supposed to last quite a while on a charge, but I advise charging your OneStep+ the night before a shoot. It’s always frustrating pulling out a camera that’s completely dead and waiting around for it to charge. I understand why Polaroid Originals installed a lithium battery in their cameras, as those batteries are far more environmentally friendly than the disposable ones put in cartridges. However, it does raise some concerns about longevity. I use Polaroid cameras that are over 30 years old, and there’s no way that the lithium battery in the OneStep+ is going to last that long. Perhaps this is a dumb thing to be concerned about, but just know that you’re probably going to have to crack this thing open and replace the battery if you plan on using this long term. In a perfect world, the camera would use AA batteries that can replaced when needed, but for most people, the lithium battery will be fine. The camera charges through the aging micro USB format. USB-C would’ve been better, but that likely was still too cost prohibitive for a product like this. Otherwise, the camera seems perfectly hardy. Only time will tell on how well the bluetooth chip continues to work, but I have a feeling the app will be discontinued or inaccessible long before that breaks. Both of these types of film will work in the OneStep+, but the I-Type is more affordable since it doesn’t need a battery. The OneStep+ is an improvement on the OneStep 2 in every way, and there’s really no reason not to pick it up over the older camera if you’re in the market for a new Polaroid camera. Those who already have a OneStep 2 (or any Polaroid camera for that matter) probably don’t need to run out and get one. That is, unless, you’re a selfie shooter. The OneStep+ rivals the older I-1 as the best selfie instant camera on the market, and for the selfie-takers of the world, the bluetooth control is absolutely a game-changer for remote shutter alone. If you’re trying to decide between this and a Fuji Instax camera, I have all kinds of comparisons you can find on this site. 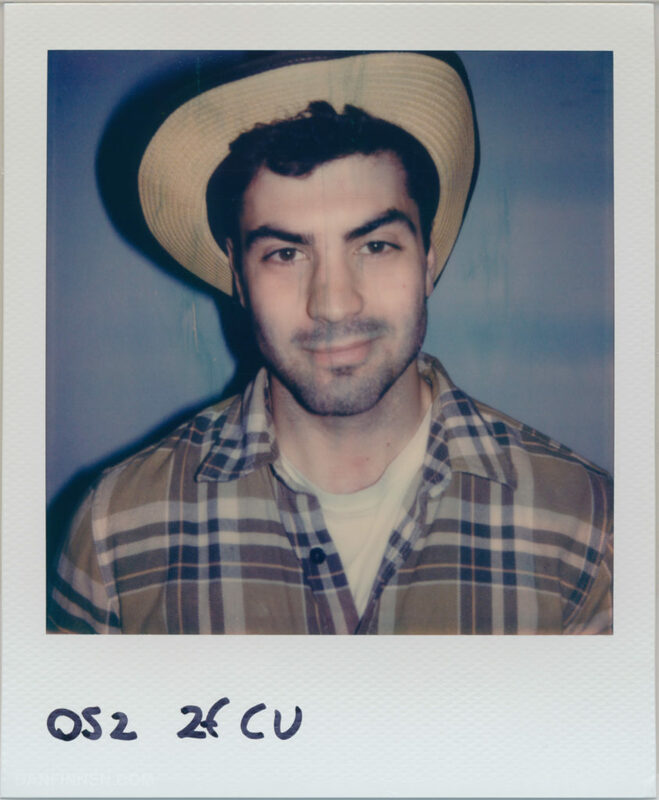 The long and short of it is that I think Polaroid Originals is best for serious artistic work, while Fuji Instax is sometimes a better format for events. 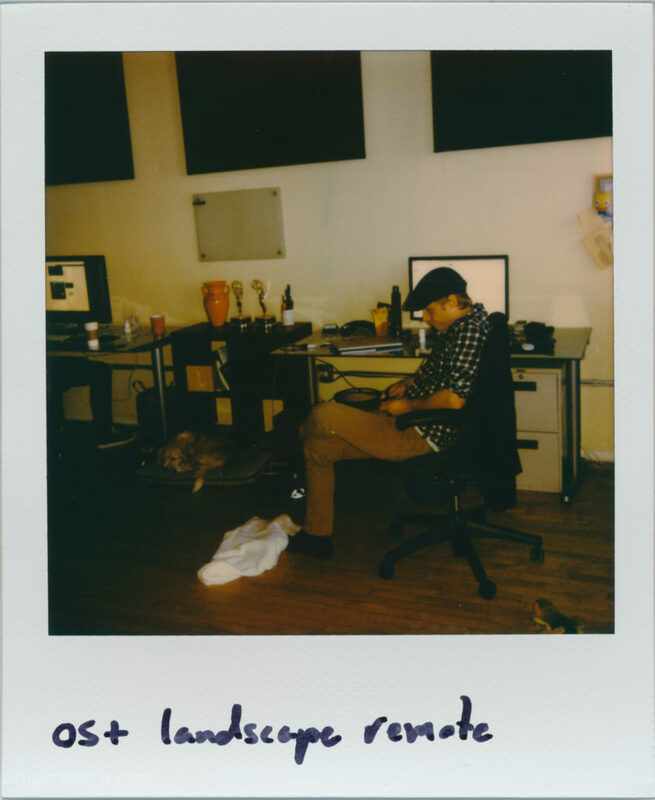 I will say that the OneStep+ is way easier to use than any of Fuji’s insane cameras though. 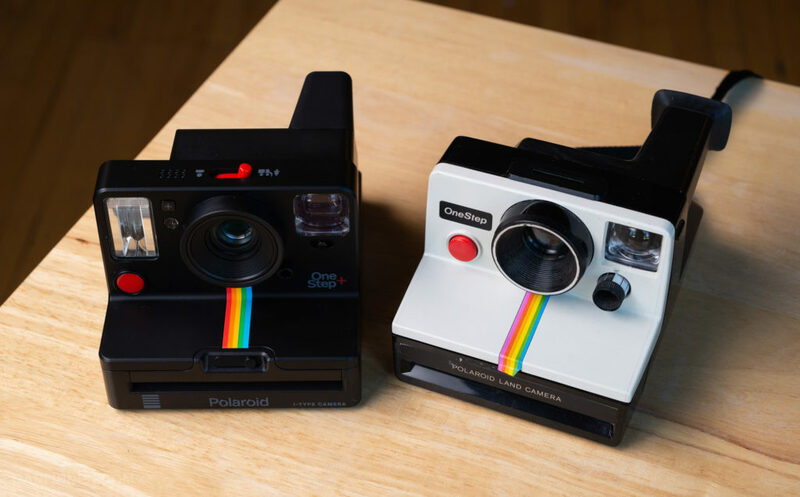 I’m excited to see Polaroid Originals continue to improve their cameras. The low price point of the OneStep 2 combined with some of the best features of the I-1 makes for a no-brainer recommendation as we enter the holiday season. 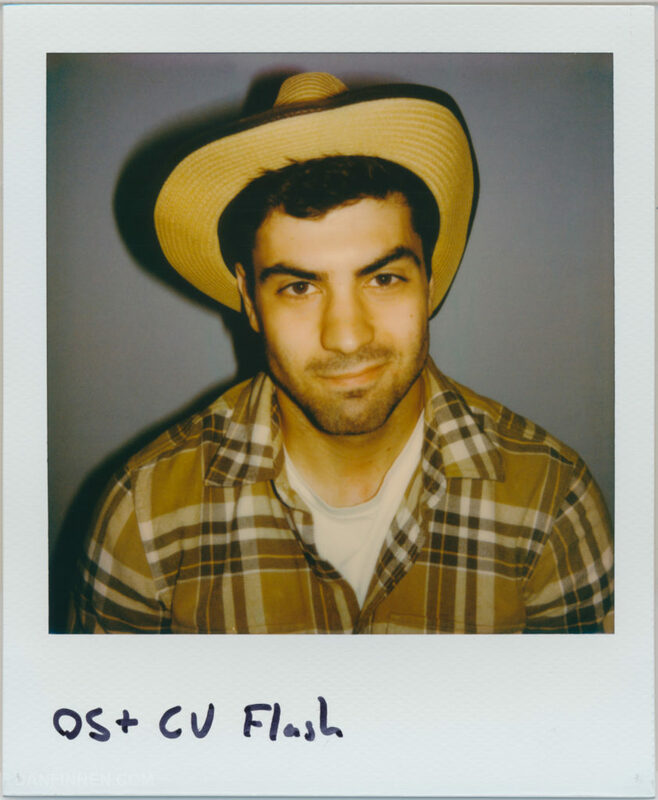 Thanks to Aleks Vasic for modeling for the test Polaroids!